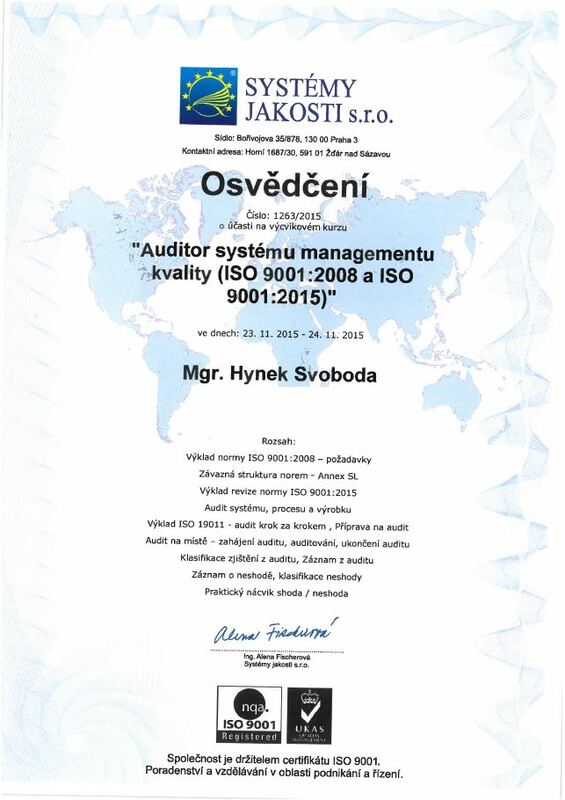 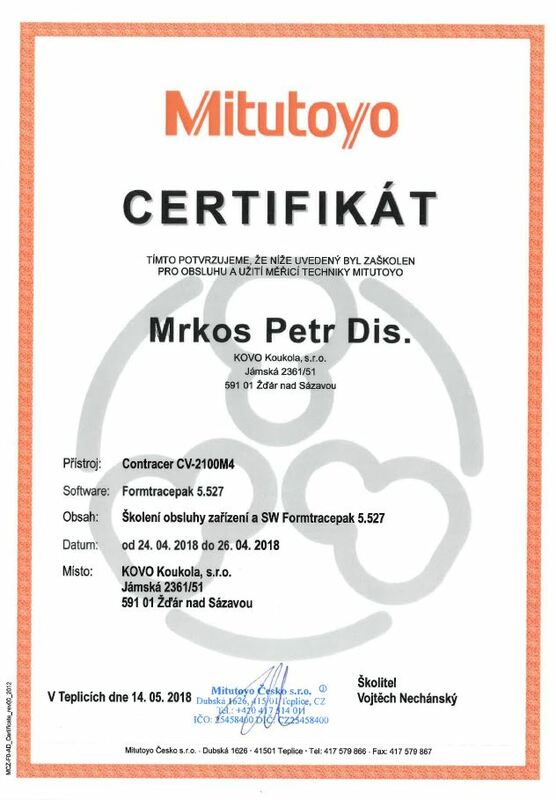 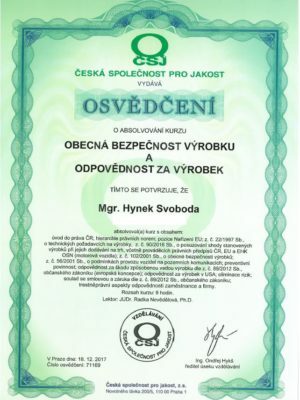 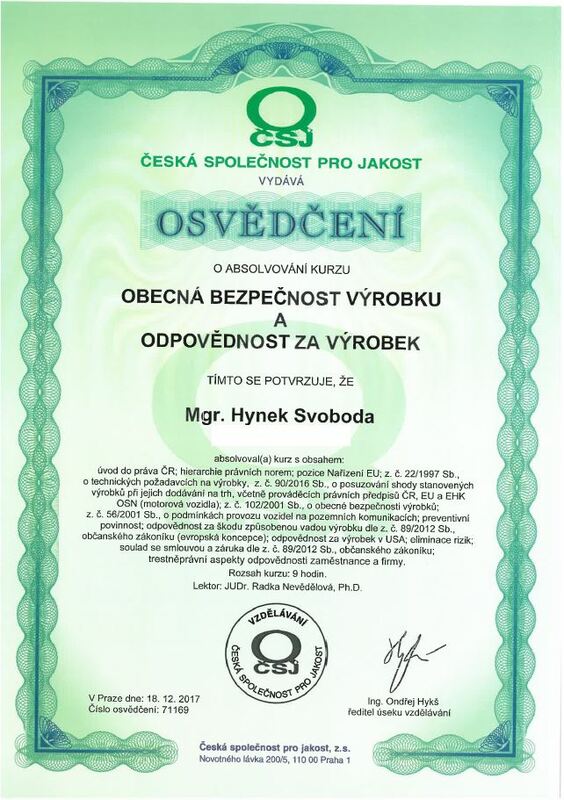 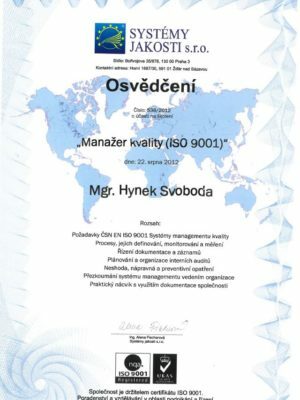 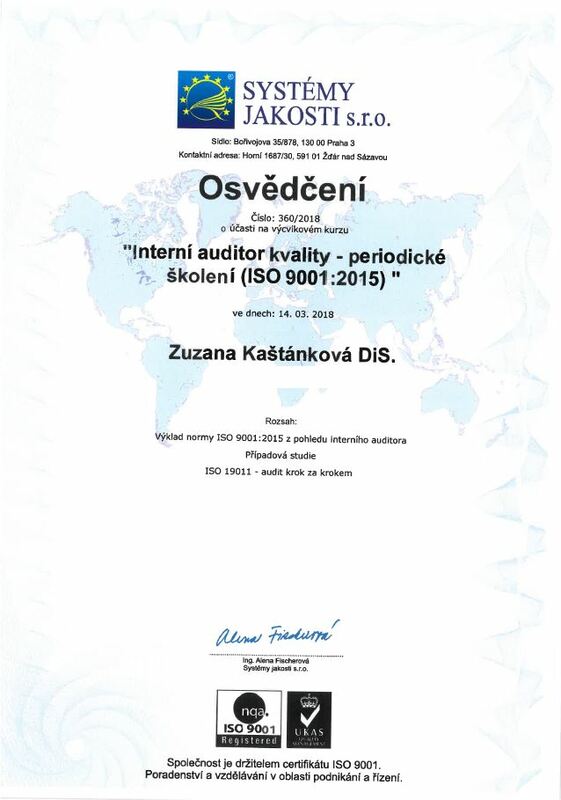 Our company is certified according to ČSN EN ISO 9001. 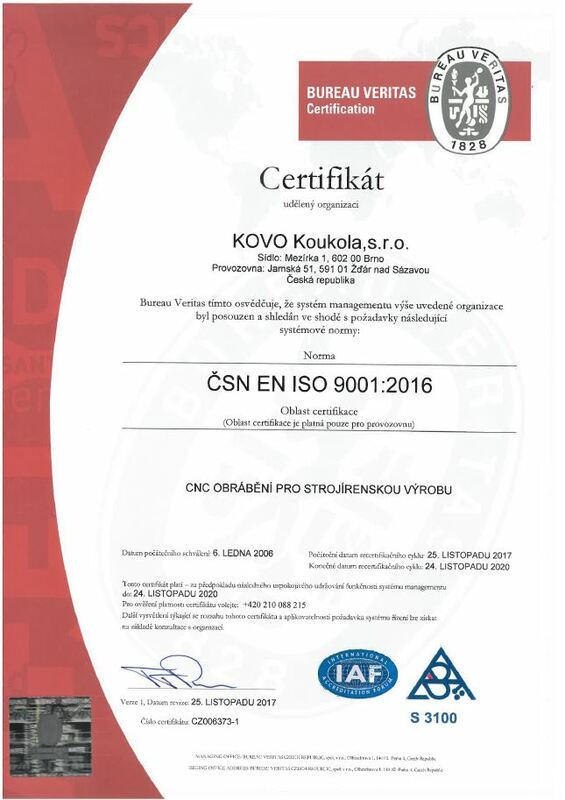 Since 2006 the company is ISO 9001: 2016 certified . 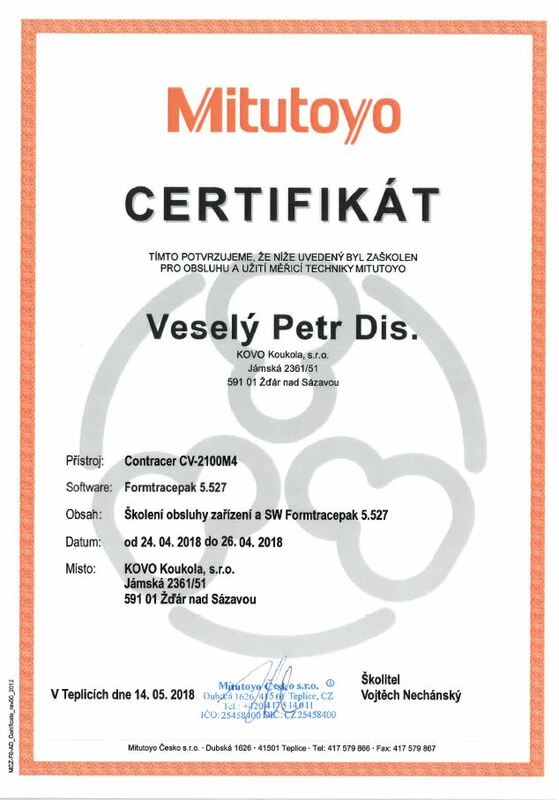 We regularly conduct customer audits according to VDA 6.3 and IATF 16949, so we do our best to meet all the requirements of the customer with the top demands. 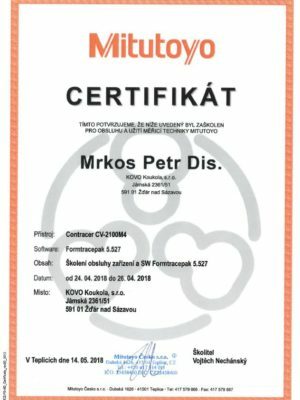 The quality department consists of a seven-member team responsible for the metrology laboratory and care for internal, supplier and customer satisfaction. To measure internal production processes, we use modern CMM equipment from Mitutoyo company. 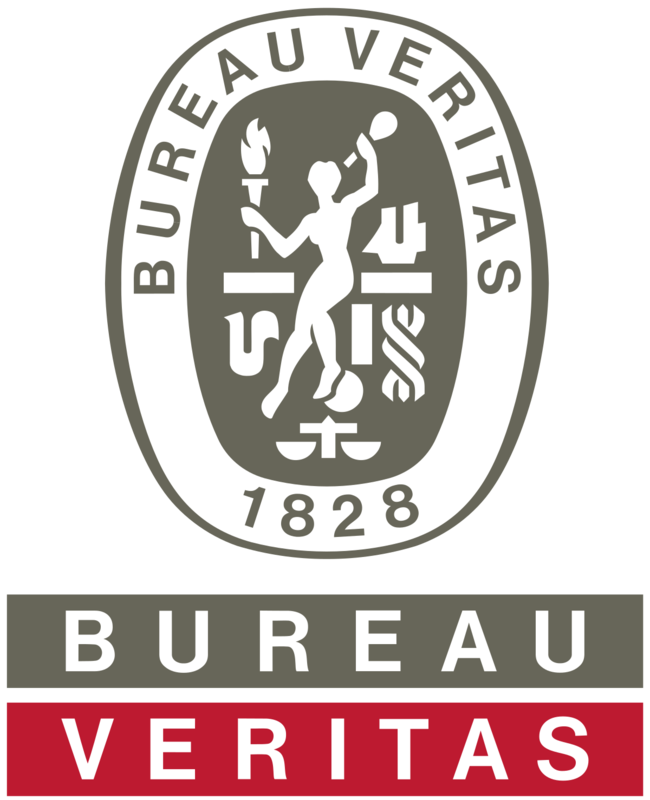 We have more than 1,000 different types of hand gauges available for manual measurement. 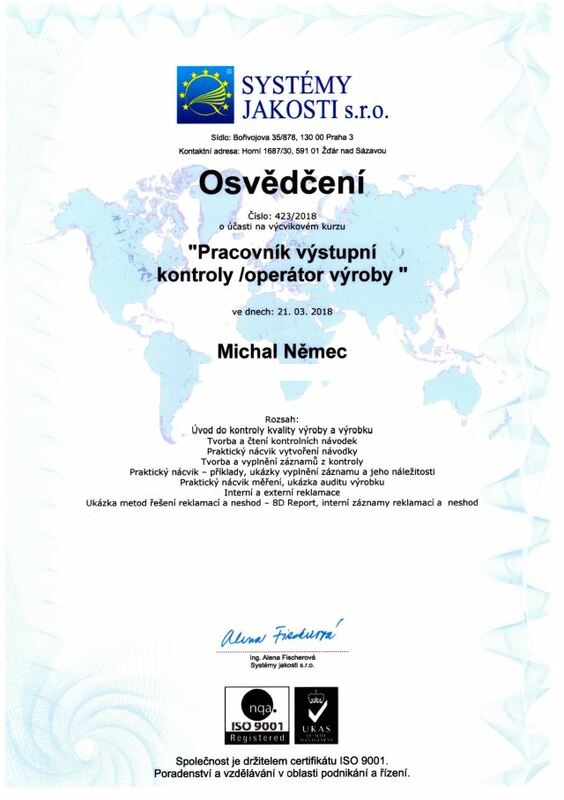 The calibration of the measuring devices is carried out by an external company. 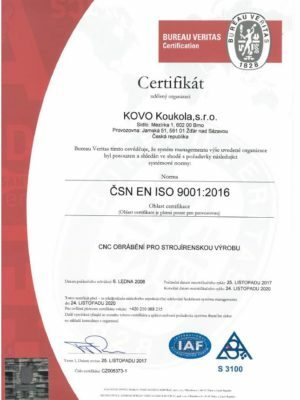 The storage of hand gauges, their records and the monitoring of the calibration period are provided by the dispensing box developed by us. 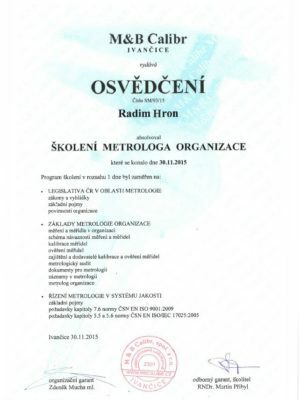 See the Development tab. 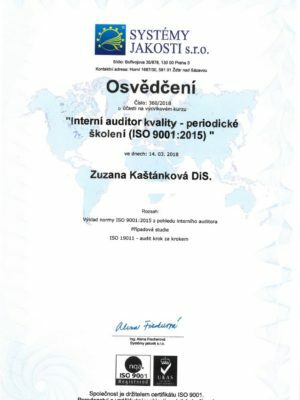 We have experience with creating PPAP documentation level 1 – 5. 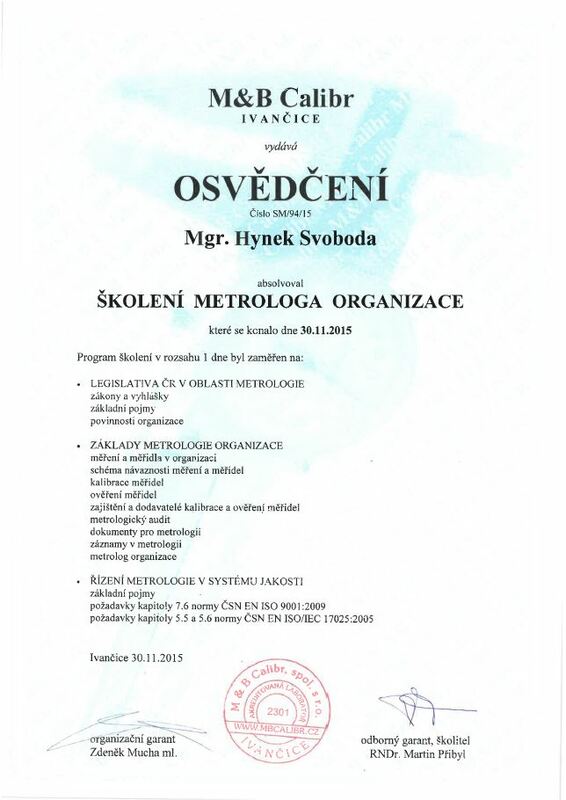 We use our own SPC software to evaluate metrological data (Cp, Cpk, Pp, Ppk, PPM, …). 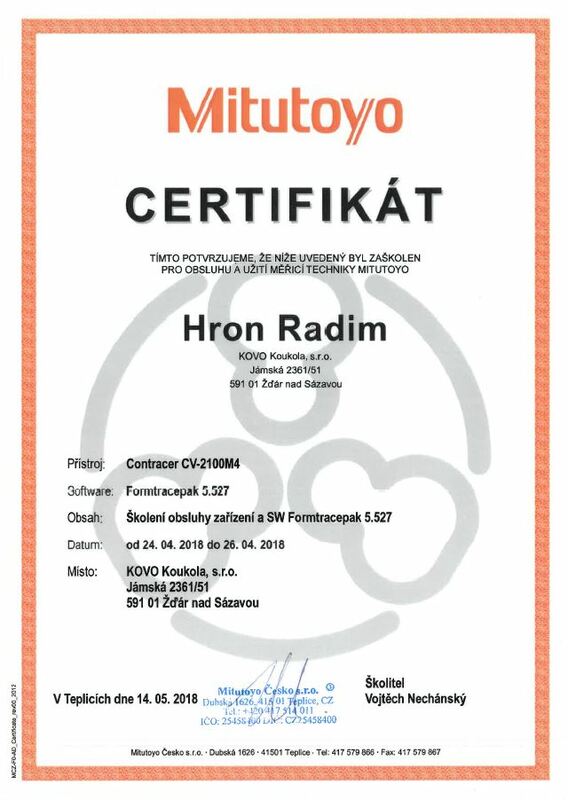 We use our own SPC software, see the Development tab. 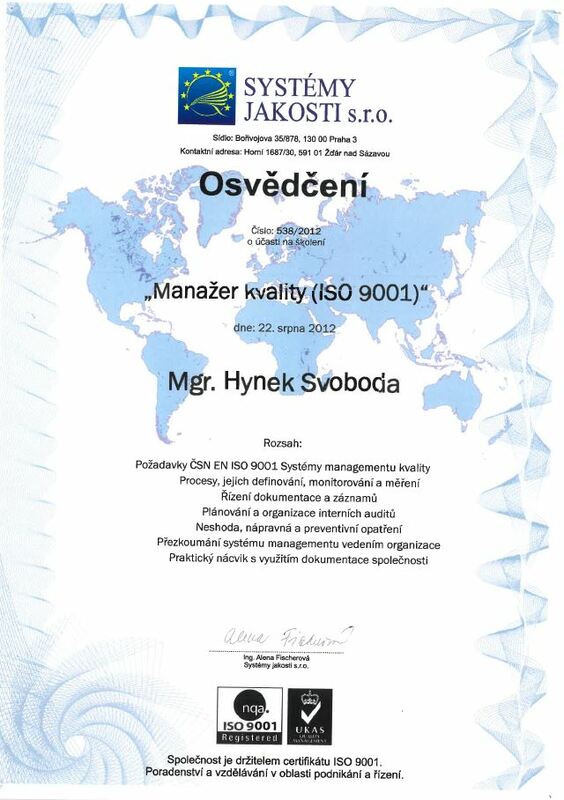 THE QUALITY MANAGEMENT SYSTEM IS IN ACCORDANCE WITH EN ISO 9001: 2016. 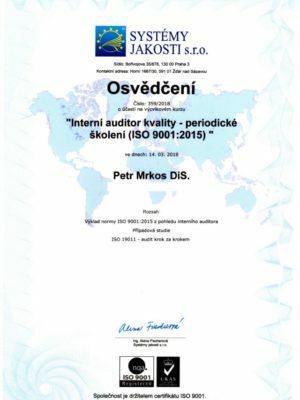 • “Internal Auditor of Quality- periodic training“ certificate. 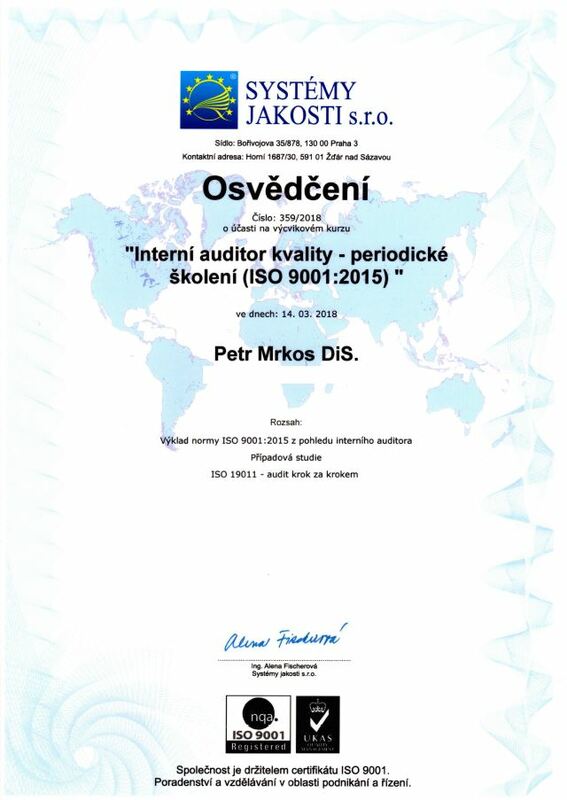 • “The auditor of the system of the quality management“ certificate. 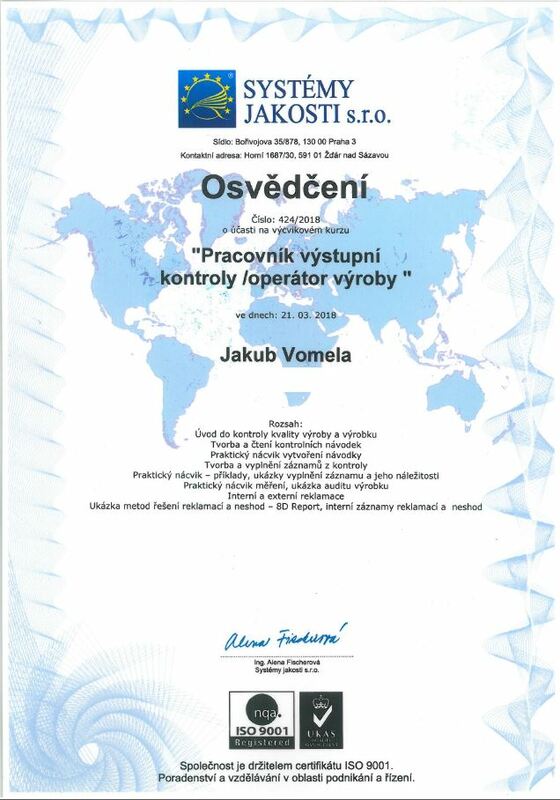 • “Output check worker/Production operator“ certificate. 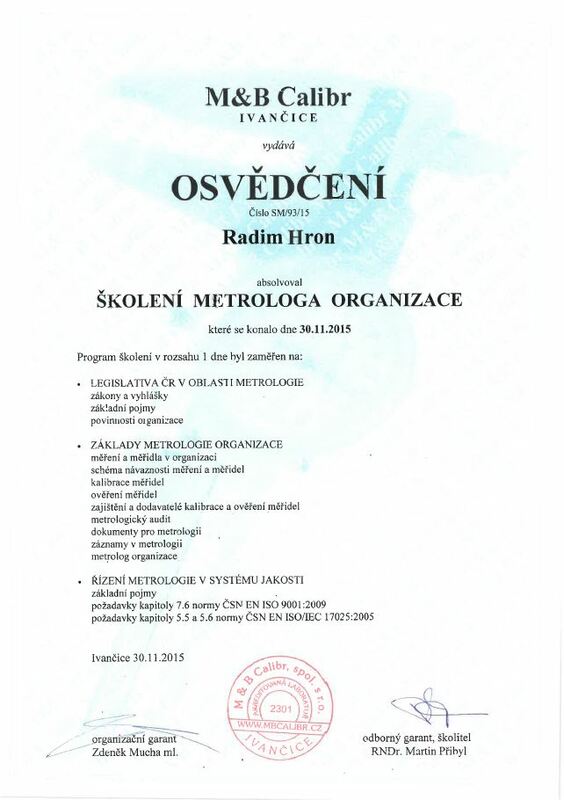 • “Metrology company worker training“ certificate . 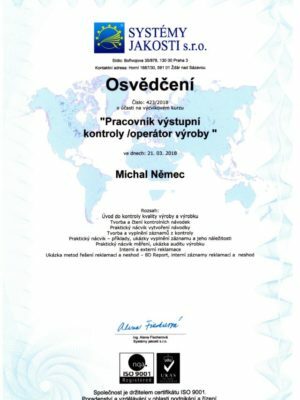 • “General product safeness and responsibility for the product“ certificate. 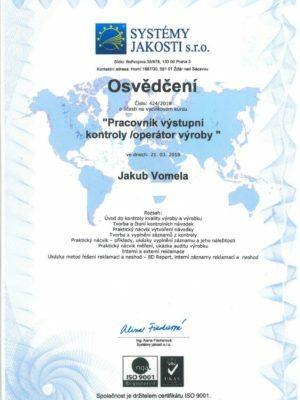 • Certificate about training for operation and use of the Mitutoyo measuring equipment.